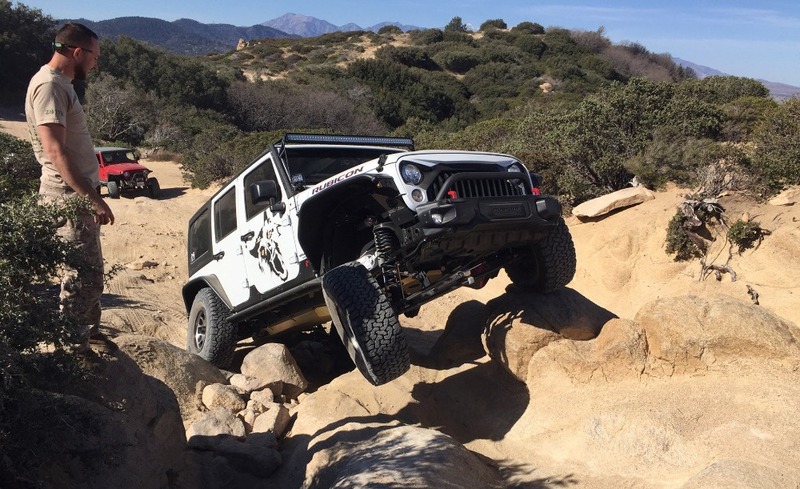 The Pilot Rock Truck Trail starts at the east side of Silverwood Lake in the San Bernardino Mountains in the San Bernardino National Forest. 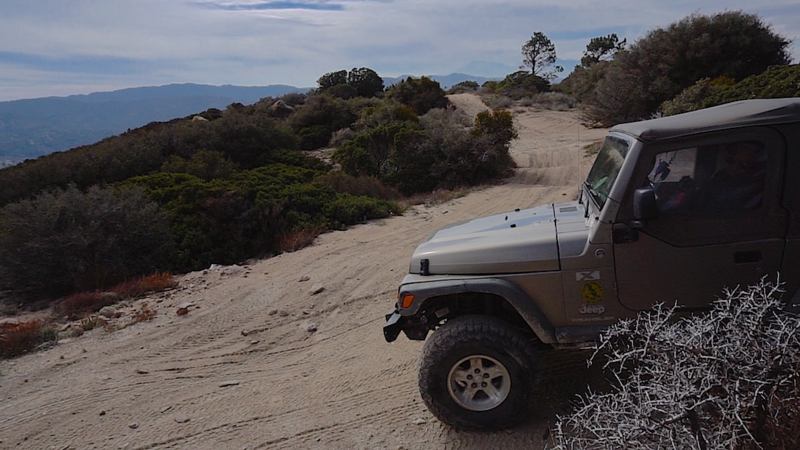 Possibly the most scenic trail in San Bernardino county, Pilot Rock Truck Trail runs between Silver-wood Lake and the small mountain community of Lake Arrowhead. 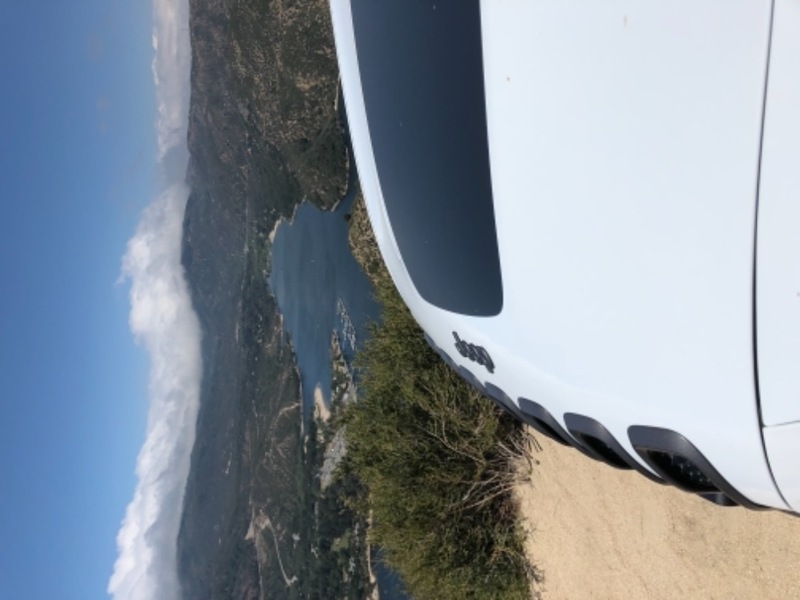 This long mountain trail serves up one amazing view after another starting with Waypoint 6 which overlooks Silverwood Lake from a steep ledge. 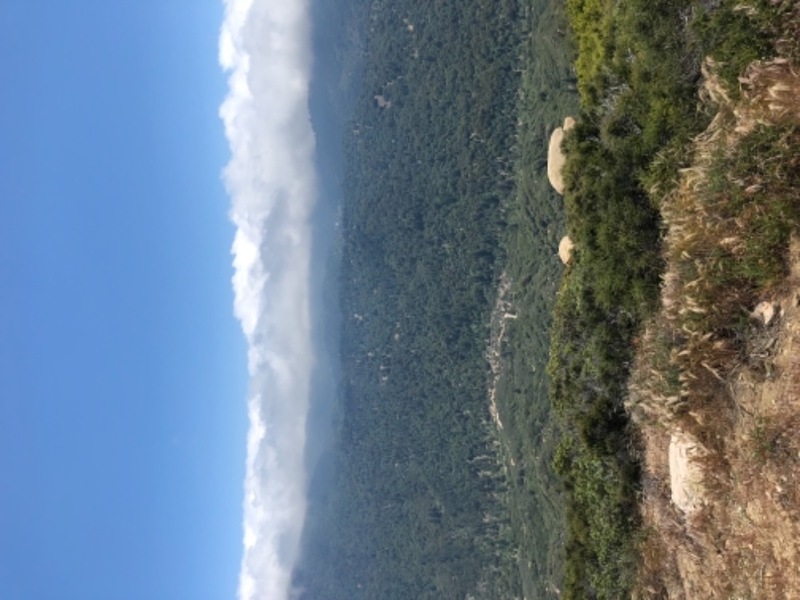 From Pilot Rock ( the actual rock ) at Waypoint 18, you will look out to see a panoramic view of the distant desert fading into the forest covered mountains. 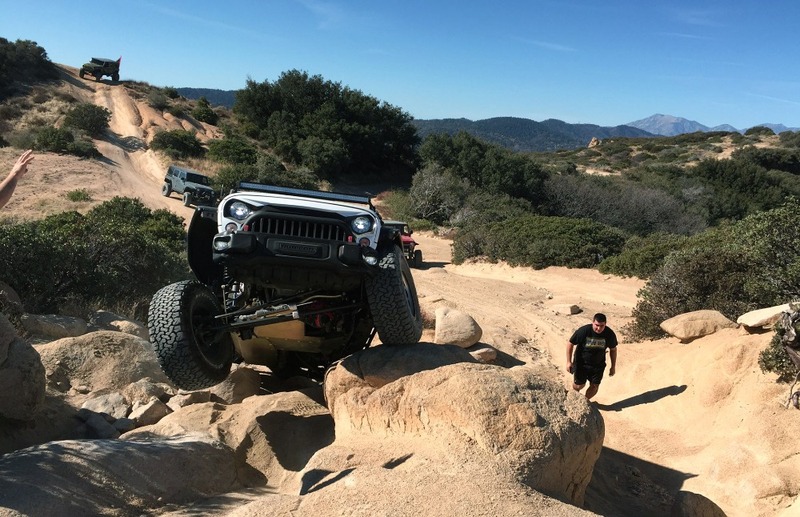 Pilot Rock Truck Trail is a long off-road mountain trail that runs from Silverwood Lake to Lake Arrowhead. This is an easy dirt road, though there are multiple opportunities to jump on the harder, alternate route that parallels the trail and intersects the main Pilot Rock Truck Trail. For the most part, the main trail is a wide dirt road, but there is a narrow section of shelf road between Waypoints 18 and 19. 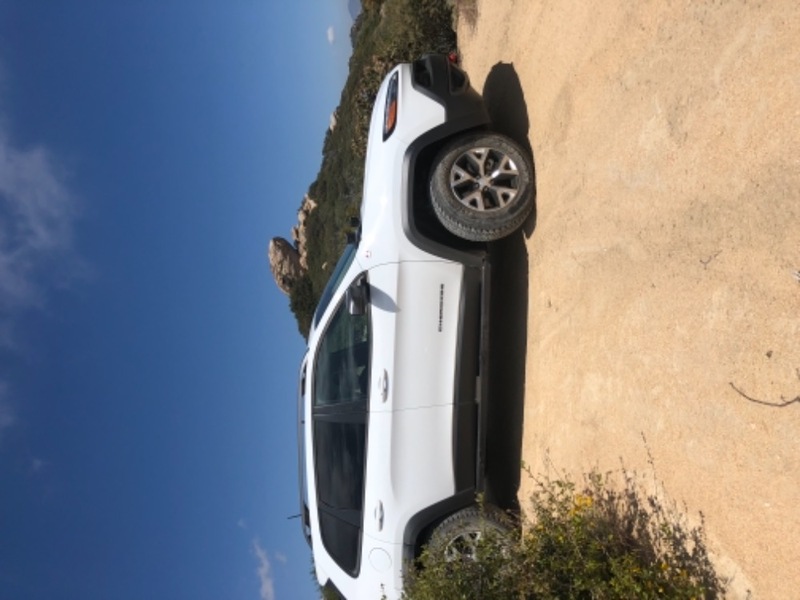 If Pilot Rock is not long enough for you, combine it with any or all of Cleghorn Trail, Willow Creek Jeep Trail , and even Dishpan Springs and Holcomb Valley. 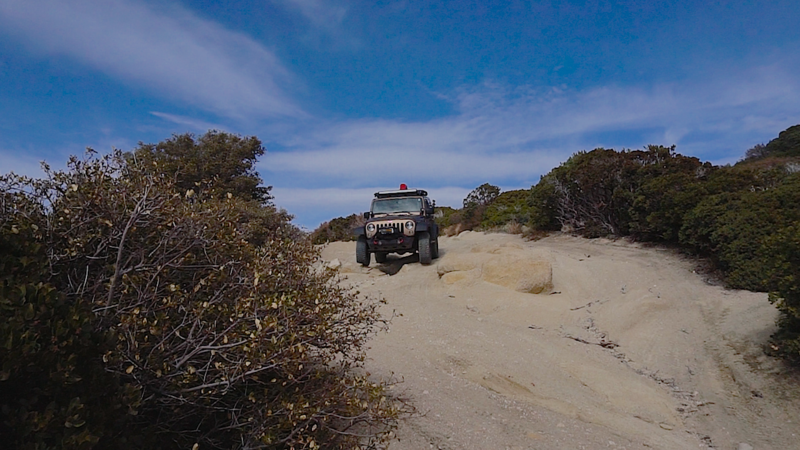 Under normal conditions, 2WD, high ground clearance vehicles can make it through Pilot Rock, but 4WD is recomended for any of the alternate routes. 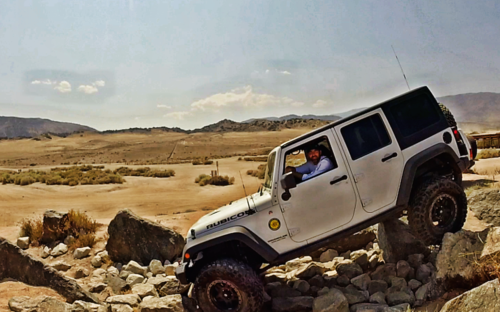 The Pilot Rock OHV Staging Area is a great place to air down and check out the view from the Cedar Spring Dam. The Trailhead is about 75 yards east of this location. The Pilot Rock Trailhead is on the south side of the road and marked as Forest Road 2N33. Continue to the right to stay on Pilot Rock. 2N17X is a more difficult trail with steep climbs and narrow saddles. 2N17X intersects with Pilot Rock again at Waypoint 13. Continue straight to stay on Pilot Rock. The turnout here leads to a few other trails, but these are marked as restricted. Continue straight to stay on Pilot Rock. A watering system sits on the east of the side trail here. Be careful around this turn.The trail loops around the edge of the ridge at this point. There is a serious cliff and an amazing view of the lake here. This is the first intersection with the more difficult, parallel route. Continue left ( the northern trail ) to stay on Pilot Rock. If you need some more action, go right ( the southern trail ), up the harder router. This is the second intersection with the more difficult, parallel route. Continue straight to stay on Pilot Rock. Here is another intersection with the more difficult, parallel route. Continue left ( the northern trail ) to stay on Pilot Rock. Continue straight to stay on Pilot Rock. A right / south will take you on 2N36 which leads down the hill. Here is another intersection with the more difficult, parallel route. Continue straight to stay on Pilot Rock. Continue straight to stay on Pilot Rock. 2N17X connects to Pilot Rock again on the left / north. Here is another intersection with the more difficult, parallel route. Continue left ( the northern trail ) to stay on Pilot Rock. The rock path shown here is easily bypassed. If you're running the easy route as mapped here, this short detour on the more difficult route is a must to get to Pilot Rock ( the actual rock ). Turn right / west on the alternate route. If you want to skip the path to Pilot rock, Continue to the left and skip to Waypoint 19. Turn right / north here to reach the rock. This is it. The rock that is big enough, high enough and noticeable enough to claim the name of this entire trail. This is a good spot to stop for lunch or just take in the view. Back track to Waypoint 17, then 16 to get back on the main trail and continue east. You will pass through a narrow shelf road before the next waypoint. Continue straight to stay on Pilot Rock. 2N34 / Tunnel Road / Sawmill Road is on the right / south. Continue straight, across Grass Valley Creek. Continue straight to stay on Pilot Rock. 3W14 is limited to bikes and quads only. No jeeps or 4x4 vehicles. Continue straight. This is where the dirt ends / pavement begins. Pilot Rock ends here at Highway 173. 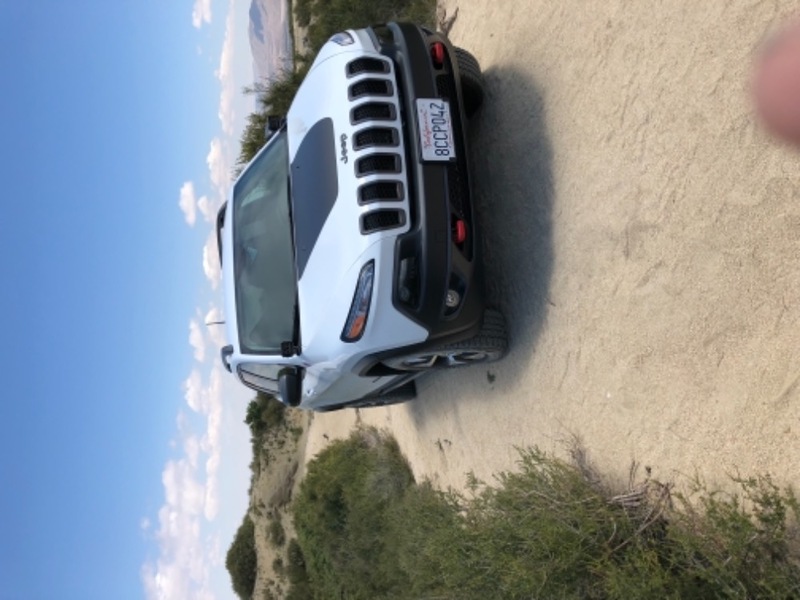 If you still want more, turn left and head north for 1.2 miles to connect to Willow Creek Jeep Trail. Here are some more pictures to remind you of the view from Pilot Rock. Head east on CA-138 for about 8.5 miles. Turn left onto CA-173 east. Follow CA-173 for about 2.5 miles. Turn right onto 2N33. The Pilot Rock OHV Staging Area will be about 1 mile ahead. Silverwood Lake Campsites in the Silverwood Lake State Recreation Area offers group site camping, RV camping and tent camping. Silverwood Lake State Recreation Area is near the west end of Pilot Rock Truck Trail and reservations can be made through Reserve America. This campground includes toilets and showers. Single sites are $35 per night. Group sites are as high as $300 per night. Dispersed camping is available off Highway 173 near the east end of this trail, in Arrowhead. The North Shore Campground is on the east side of Lake Arrowhead, but this campground is only open from late April through early October. North Shore Campground has potable water and flush toilets. Fees are $23 per 1 vehicle for the night, however fees increase and a 3 night minimum is enforced on holiday weekends. Q: How long does it take to run the trail from lake Arrowhead to Silverwood? A: If you stick to all the easy lines, maybe 1-2 hours. Q: Are they open during weekdays and are they still open due to the fires that recently happened? A: Yes. This trail is open. The whole trail is pretty rutted out from recent rains, but still passable. 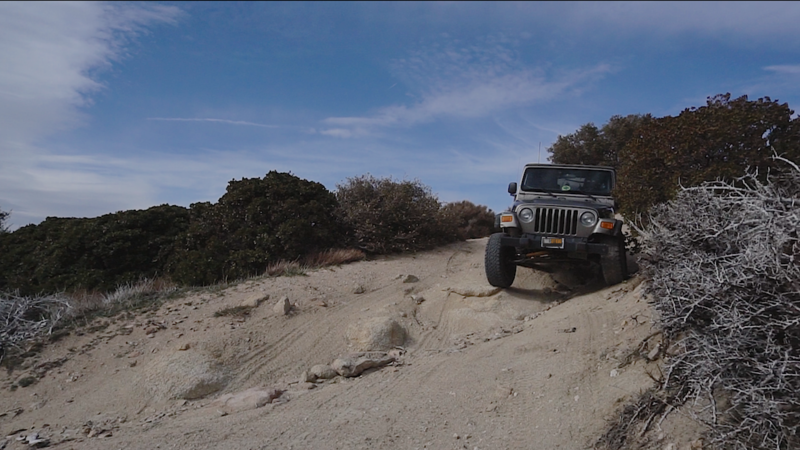 We spent a little time playing on the harder lines before heading up into Lake Arrowhead. Great trail to visit with a great view. Definitely going to visit again. Followed the trail map we found on this site. Everything was accurate and went very well. Made it to Pilot Rock, but didn’t get all the way up to the rock. Got close for only having stock Cherokee Trailhawk. Trail was fun and was a Saturday well spent. We mapped a few trails to the south and ended up going west on Pilot Rock from Miller Canyon, I missed the by-pass on the rough section just west of the Rock and wasn't comfortable continuing without an experienced spotter so we turned around. The east half of the trail we did the optional routes and had a great time. We did the Pilot Rock Truck Trail after coming off 2N17X where it meets 2N33. We headed east from there and did all of the optional offshoots. Some of them provided a pretty good challenge, especially if you took the harder lines (see video). 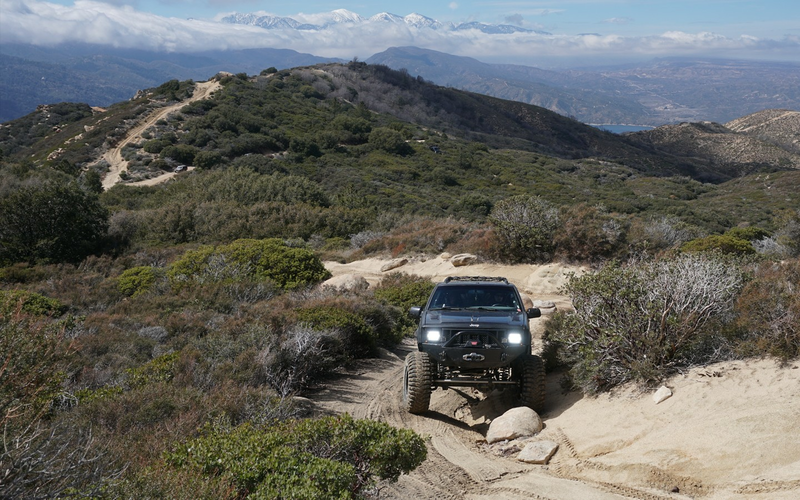 The trail is somewhat similar to Cleghorn with the main dirt road which is easy, with the more difficult offshoots that can be bypassed if too difficult. 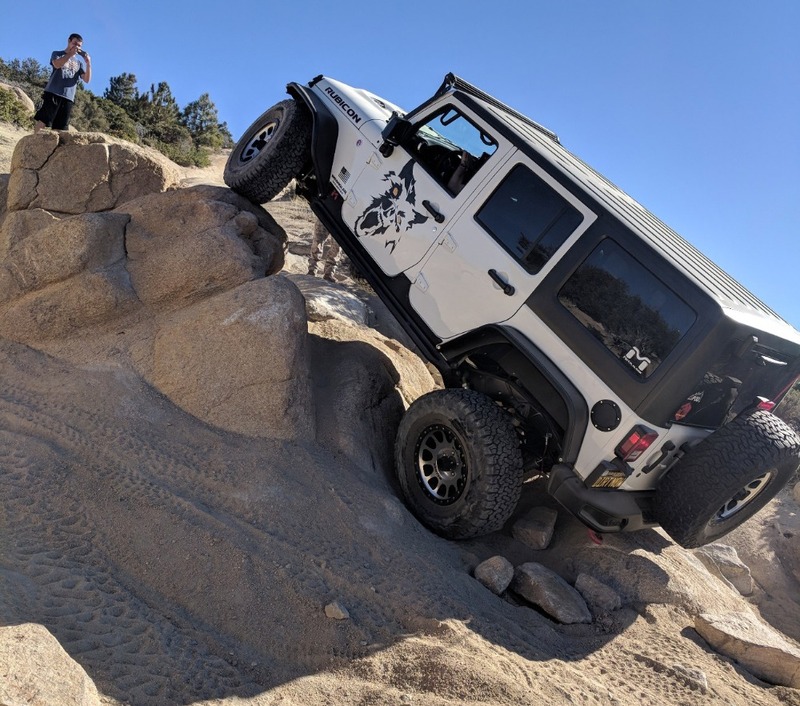 Fun trail, especially combined with 2N17X and it's easy to keep going to Lake Arrowhead and head to areas such as Devil's Hole to finish off the day.